Skyway Elementary School — The Land Group, Inc. 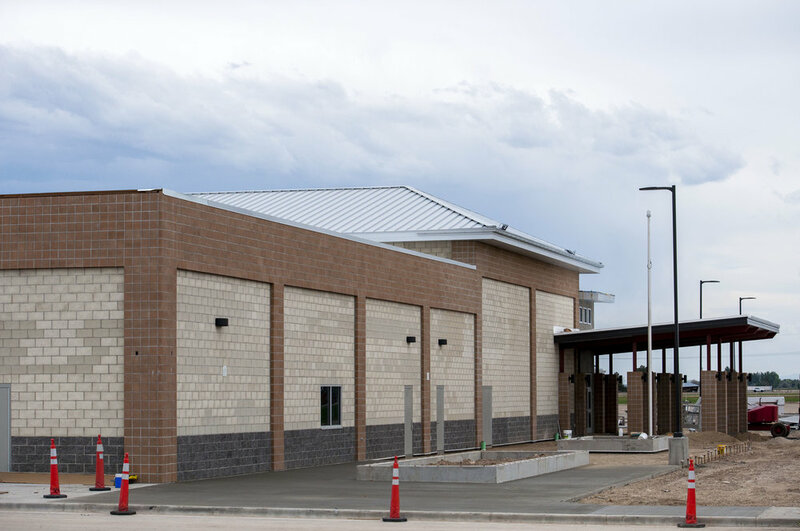 The vision for Skyway Elementary School was a collaborative effort between The Land Group, Caldwell City Council, Ada County Highway District, and other city departments. This team effort ensured that the design for the new school met the city’s long time plan requirements and would be able to serve for projected future growth. In addition to proposing a long-lived design vision, The Land Group employed innovative construction features to increase project life and reduce project maintenance costs. Stratavault is a modular system using recycled plastic which forms an interconnected tree pit matrix, so applied loads are shared and lateral strength is maximized. Each module has enlarged apertures to accommodate service pipes. 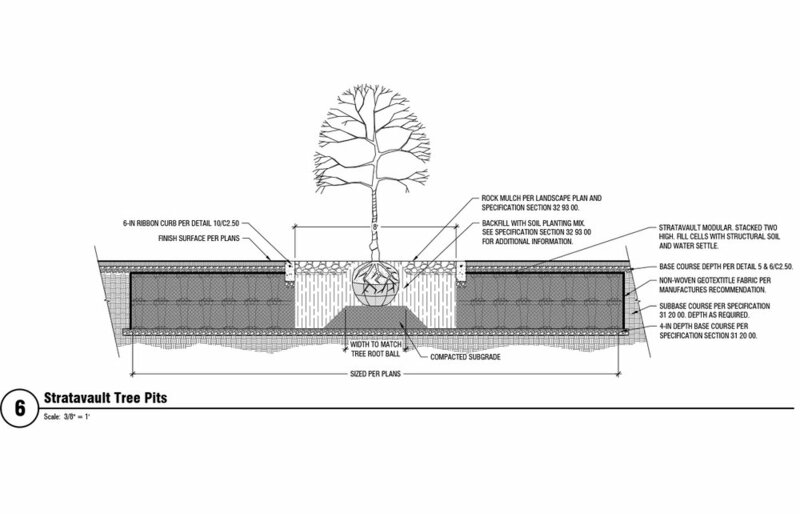 With this system, tree roots can extend beyond traditional 5’ x 5' x 5’ tree grid for improved establishment. The Land Group also modified the top soil amendment by adding granular soil conditioner to reduce compaction and increase water retention for all sports turf fields.